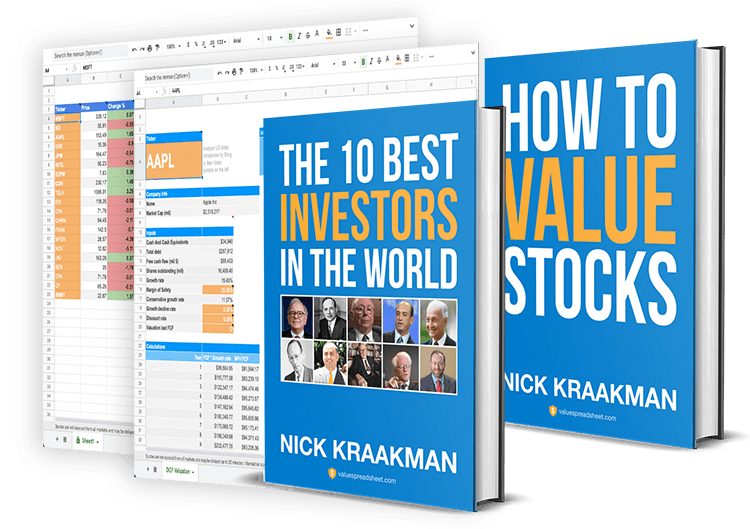 Here you find all free investment spreadsheets made by Nick Kraakman. While these spreadsheets can be downloaded for free I would really appreciate it if you could Like/Tweet/+1 this page! 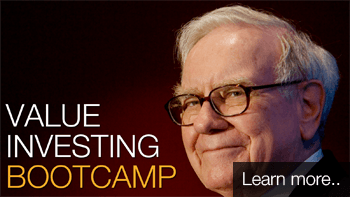 The Discounted Cash Flow (DCF) model is one of the most popular and effective ways to calculate the intrinsic, or "true" value of a stock. 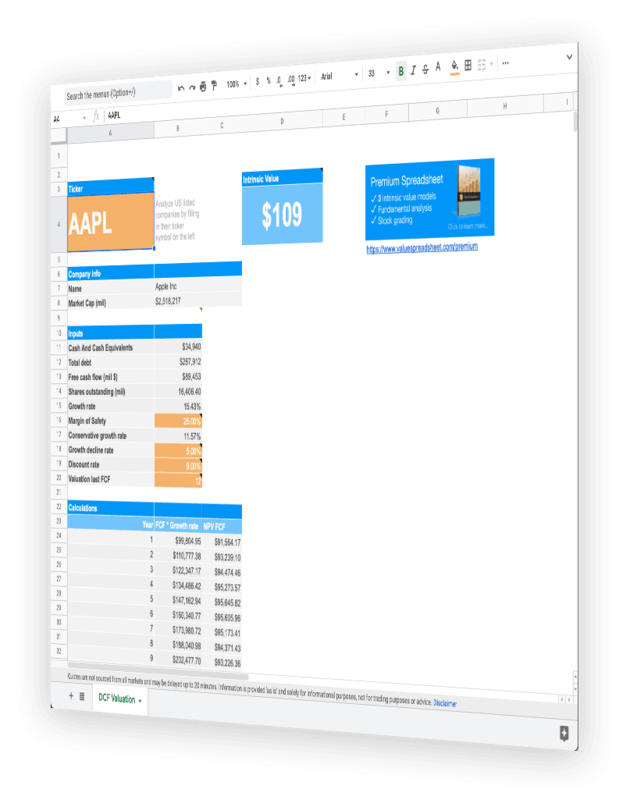 This calculator only requires you to fill in a ticker symbol and then the spreadsheet does the rest. This way you can determine the value of any company in seconds! 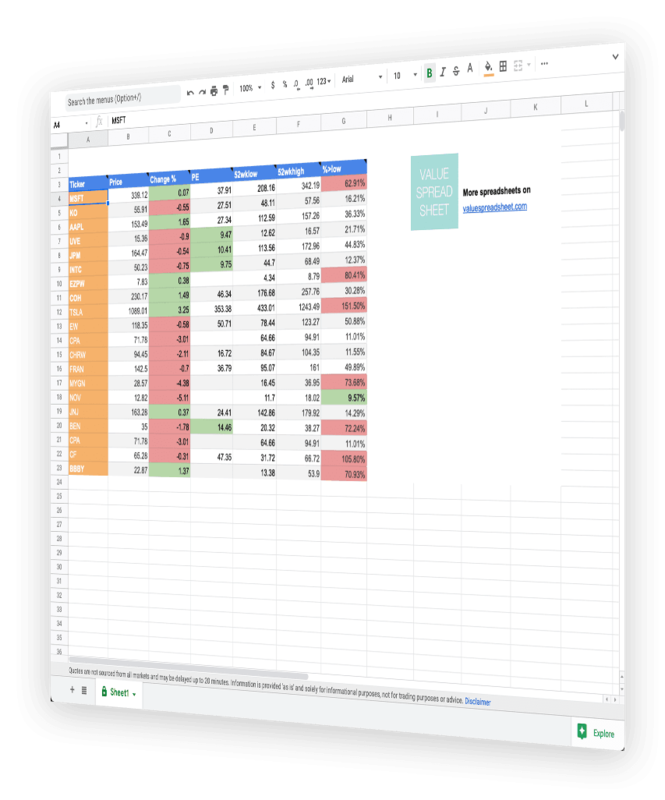 To help you stay on top of potential investment opportunities, I created this free stock watchlist which automatically retrieves the latest financial data regarding the stocks in the list. Now you can track dozens of stocks in one view and, thanks to color coding, you can instantly see which stocks are going up or down and how close they are trading to their 52 week low. 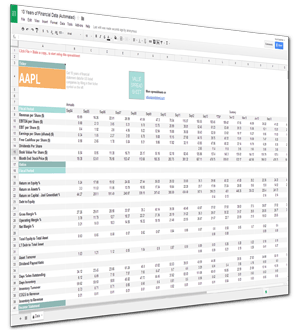 Many of you like to build your own spreadsheets, therefore I made it easy for you to automatically draw in 4 years of financial statements data by simply filling in a ticker symbol! You can then use this data as inputs for the rest of your calculations, saving you the time and frustration of manually inputting all of that data. Did you use any of these spreadsheets? Then I would really appreciate it if you would leave a comment below!